It has been two weeks since that fateful day and I can still indubitably remember the struggle of my first climb, the shivering cold of my first camp and the grueling 3- hour trek I had on the mountains of Dalaguete and Badian. It was after all my birthday and I celebrated it differently- no candles, no cakes, no birthday wishes nor the opulence of food- it was no ordinary day. And for those who were with me, you know for sure it was one hell of a moment to remember. haha. This is the first part of our our 3 day- 2 night adventure, bear with me as I relive every moment of it. We boarded the Ceres Bus for Liloan, Santander at the Cebu South Bus Terminal at around 4:00 pm(fare: 105php for aircon bus). We had to disembark at Poblacion, Dalaguete in order to catch the habal- habal for Mantalongon which would take us to the base of the mountain. 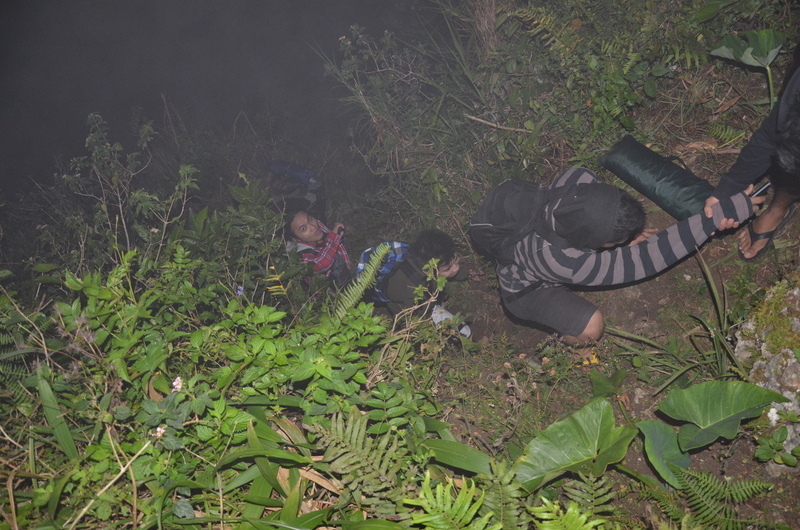 From there we have to climb the slope in order to reach the camp site. The travel from Cebu City to Dalaguete took us almost 3 hours instead of 2 since we were caught with a traffic at San Fernando, Cebu. There was a fiesta ongoing and the buses have to slow down to accommodate the influx of people at the celebration. Hence, we arrived at the Dalaguete junction at around 7:30 pm. 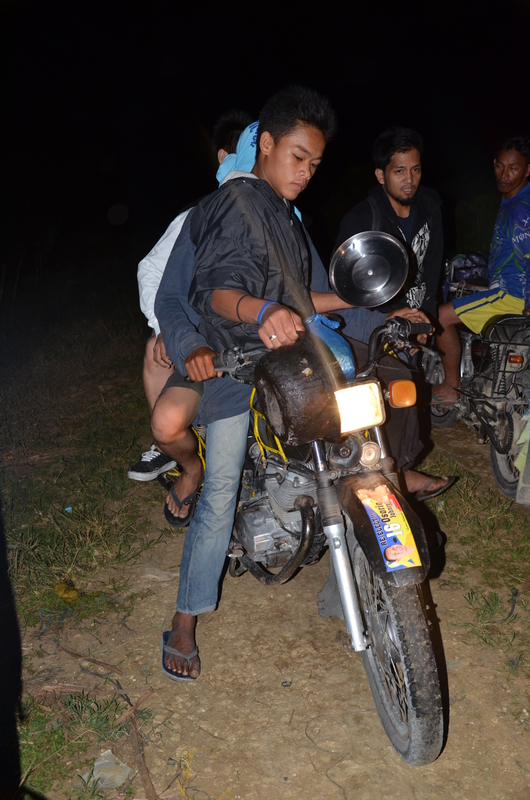 From there, we rode a habal- habal to take us to the mountain base (travel time is 1 hour, fare is 100php/person). Tell you, the ride was smooth for the first 30 minutes but after reaching the Mantalongon Public Market, everything from there went bumpy and tortuous. I salute the habal- habal drivers who are able to jaunt that kind of terrain and take the campers safely to the base. It took us 20 minutes of crawling and tons of sweat to reach the campsite! 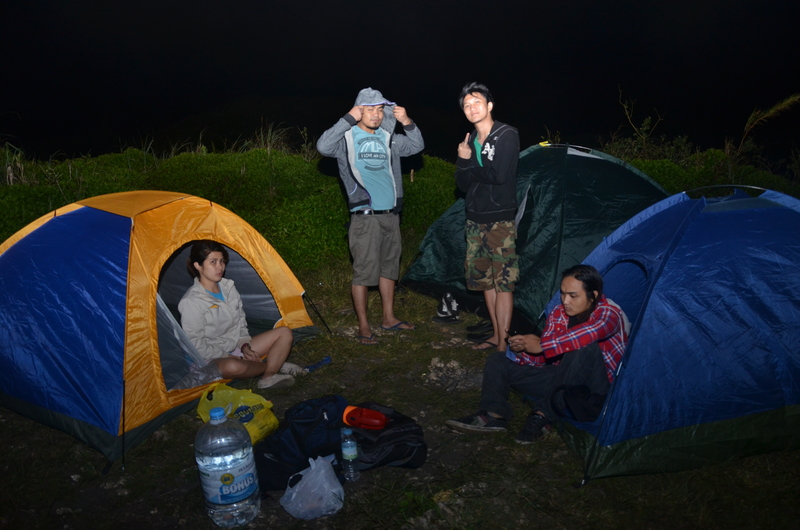 It was pitch black and since it was a weekday, we were the only ones camping. We started putting up the tent, we had 3 and since it was past 9, we started preparing our dinner since everyone is famished. For a first time camper, I didn’t sleep well. Aside from our tent almost breaking down due to the strong wind, it was too cold to sleep and I could sense ETs (Extra Terrestrial) lurking at our tent. Later I found out, it was a dog who slept just adjacent to our tent. We woke up just before sunrise and even without enough sleep, the scenery and feel of the surrounding awoke us with such great enthusiasm. It was like waking up from a beautiful dream. Truly dramatic. 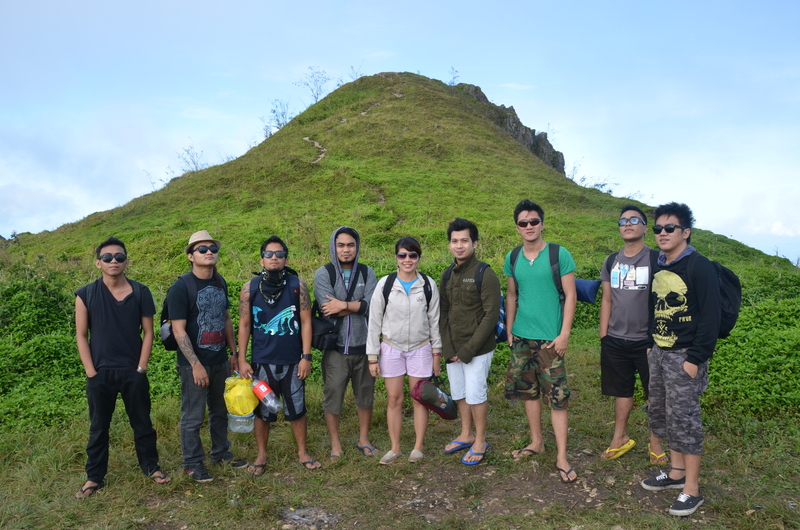 The highest point of the mountain- The Osmeña Peak was just a short climb from the camp site. And there, we witnessed in awe another triumph of nature. The view was breathtakingly surreal. Osmeña Peak is the highest point of the Mantalongon Mountain Range. 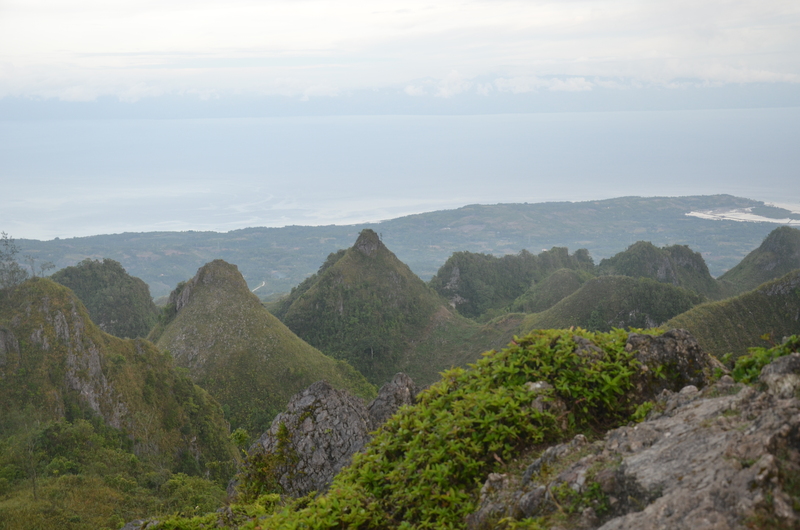 It stands 1,000 meters above sea level making it the highest place in the province of Cebu. 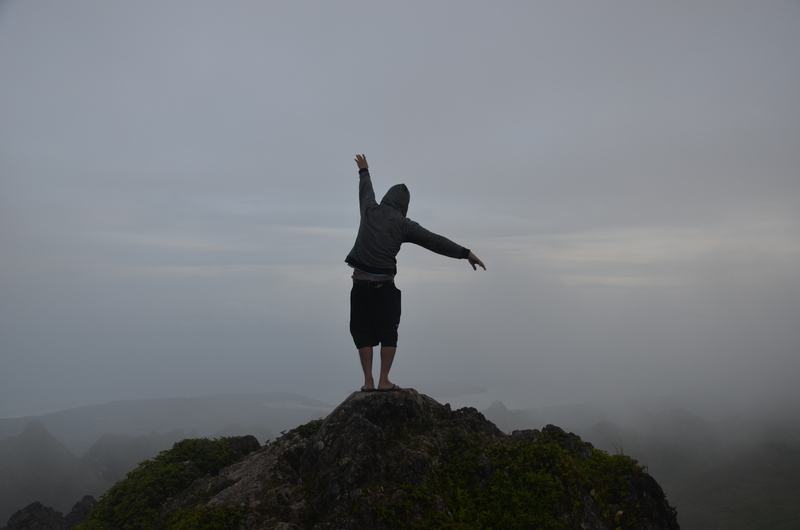 Hence, when you’re at the peak, you are literally at the top of Cebu! 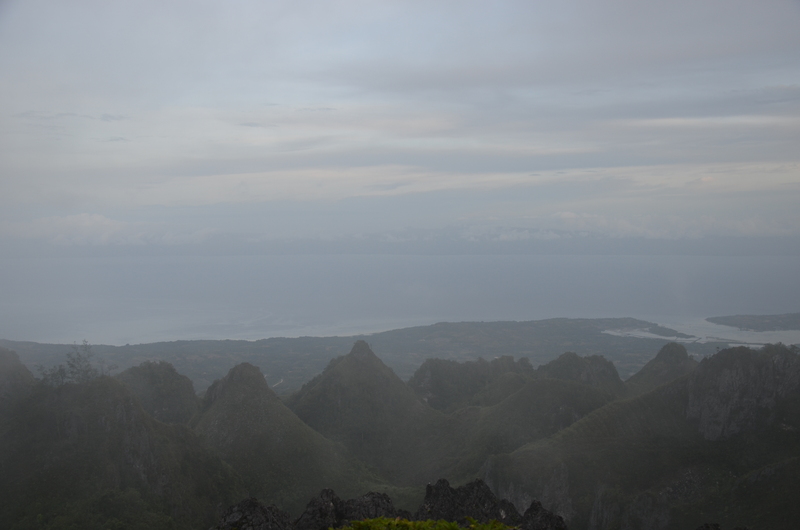 From the peak, one can see the long stretch of the coast of Badian and the neighboring province of Negros Oriental. 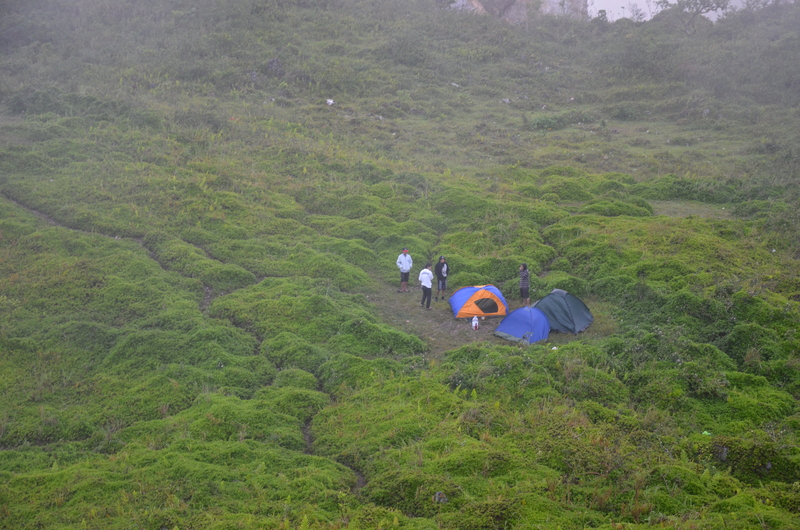 A view of our campsite from the peak. After the hype has subsided, we settled ourselves to a breakfast of coffee and 2 slices of bread then planned on our adventure ahead- the trek to Kawasan Falls in Badian (will be featured on my next blog). The team has conquered the peak and soon to set forth the grueling trek to Badian- The Unfamiliar Trail to Kawasan Falls.